The design of a website plays an important role because users judge the site by its looks and usability, not by the brand. The usability of the site not only depends on the feature or functions of the site, but it also depends on the customization of the design. The layout of the site matters a lot, and it is the job of the designer to make the website presentable and functional to its users. Most of the reputed designing companies in India have a different specialist for different modules of the site. Designers come with various ideas and conversion boosting strategies to make an exquisite website but not all of them work. However, it is tough to achieve a balance between design and function, but when all the effort is combined in one place; it oozes out a great website. The design is a part of marketing propaganda, and sales of the product largely depend on the layout of the website. A well-balanced website helps to grab attention towards the brand which it is endorsing thus boosting up the sales of the product or service. It is not an easy task to create a design for a website that will bring a large amount of traffic, a lot of factors comes into play. 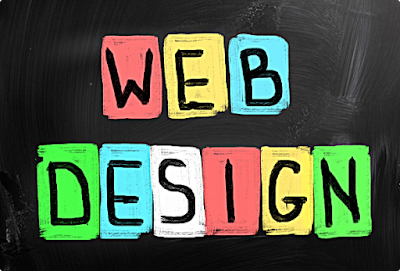 Many web designing companies in India employ highly skilled and experienced designers who have sound knowledge in a different section of designing like copywriting, typography, layout structuring, etc. It is not easy to master the design creation technique for the website, but there are some ways which can aid in efficient designing of the website. Customer experience is the only concern that designer keeps in their mind because it is that user who will decide the fate of a website not the owner of the site. Creating a design with active navigation is a useful way that helps the designers to appeal more to its clients. This is an effective way because it highlights the tab of the site they are hovering and it notches up the usability of the website. Active navigation is a part of the modern way of effective web design, and this can be easily done with some simple coding where all the function is done server side. Opting for a simple yet efficient responsive design that runs smoothly on both desktops as well as mobile. Dynamic design is a necessary factor as nowadays most of the website are opened using mobile browsers. So a responsive design would appeal more to the viewers although the designer should always opt for a simplistic design. A well balanced and clean approach is one of the most effective ways to create a design for a website. For a neat approach, one should avoid multi-colored tabs, inappropriate background or loud banners. Some web designing companies in India design their own theme for particular clients thus maintaining individual design for each site. Proper placement of words with appropriate line height is an essential part of website design, and a web designer needs to consider this factor seriously. Experienced designers from hosting companies in India always create a design for a website where the user can experience proper readability. This aspect plays a crucial role when creating web design and there are times quality contents get ignored without proper readability. Along with line height, customization of white space is also needed to create an exquisite design for the website. White space should utilize properly for protruding association of elements in the web page. To achieve an effective design, it would be smart to provide a large area for links so that a user won't miss clicking on links. If links are put in a congested area, then there is a high chance that user browsing the site through mobile might not able click on the desired link. Nowadays, most of the designer while creating design always gives space to links so that user can properly access them. Stock photos on website grab the eye of users, and without proper placement of them, it could ruin the whole design. So proper placement, as well as customization of the photo, is a quintessential part of designing although it is always preferred to place unique images on the website. Following F pattern design is the most common and useful method for creating web design as human being scans web page from left to right in an “F " pattern. It is probably the best way to cater user's natural viewing behavior as they mostly start from left and top. Many designers are nowadays, coming up with many unique ways to create a design for websites that helping them a lot of grab attention of viewers.